Audio conversion from one format to another is almost vital nowadays for easy portability and playback between multiple platforms. An audio converter is used to convert one type of audio file onto another. To enjoy music in formats that your media player doesn’t support, you need to find a converter to convert your file to the supported format. M4b files are very similar to M4a files but are used mostly for audio books. You find a lot of audio streams in M4b files and in addition to that they tend to contain some information about specific audio books – these include chapter markers, images and links that you -find online. Here’s a list of audio converters that will convert your M4b files into the more easily supported MP3 format. It is an online service that will make it easier for you to convert your M4b files to MP3 so that you can play them on your favorite MP3 player. It is also possible to convert your M4b to Wav files using this, which could help if you ant to add some sound mixing or editing – like with background music. The working is pretty standard. You can use the drag and drop feature to import your file and follow instructions to convert them. You can add a folder, and the program will convert all the M4b files in bulk to Mp3. 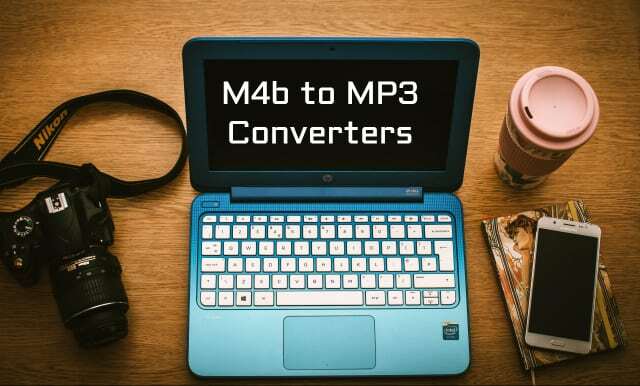 You can also use Free M4b to MP3 Converter to play your M4B files, as it acts like a straightforward and quick play application. This one combines audio compatibility, internet audio recording and an easy to use interface all in one program to make it easy for you to convert your audio files from one format to another. It can convert multiple audio formats and provides you fast audio conversion without any errors. The switch allows you to stream and record music from the internet and breaks the process down for you so that you know what’s happening. It is also able to extract audio from video files. You can import CDs and convert the music on them to any format. It can convert audio from different file formats and also rip audio from CDs. The conversion speed and functionality is almost out of this world. Within few clicks you can convert audio, change bit rate and rip audio. It is that simple. Xilisoft has an intuitive layout and a user-friendly interface that makes file conversion not only easy but also fun. You can extract audio from video formats as well, and this converter is compatible with 18 different file formats. It is versatile and handy audio converter software. It is a fast, affordable audio converter that will convert not only audio files but also video formats. It is one of the few converters available that will do both with ease. When launched, it prompts you to select among the different options – video, audio, input format and output formats. You can rip audio from CD and convert it to any other format too. The software is capable of extracting data from video files for audio and does a smooth job of converting from one format to another. As the name suggests, this is an audio converter that is very popular, very free and can switch between a long list of audio formats. It can take the rarest of formats and change them to the common ones that are easy to playback. Super makes everything easy. It has a complicated looking interface that could be a little daunting for beginners but doesn't let that fool you. It’s very simple to use. Super makes it possible to extract audio from video formats and save as any one of the formats that it supports – and trust me, that list is long. It is feature rich, easy to use and extremely handy. You can use FreeMake to convert multiple input and output formats. Combine multiple small files into one if you like. Adjust the output quality and see to the different parameters you would like to change before the conversion begins. This audio converter has a neat minimalistic design that is easy to work with, and it is this simplicity that makes it a very useful audio converter. You can drag and drop your audio, select the desired format and let Media Human take it from there. You can change the bit rate and choose the frequency and output quality of the file. If you're looking for something simple that doesn’t have a complicated interface, this is the one for you. If you do want advanced options, the software lets you customize things like setting default folders and adding your conversions to different online accounts. It is flexible software. You can use it to convert the rarest of formats to something more common and has over 20 audio formats to choose from. Also, you can rip audio from CD and convert YouTube videos to any format it supports. Total Audio Converter has been around for over ten years and is one of the most popular software used by a million customers. Another free audio converter, Hamster installs quickly and has a simple, minimalistic interface that is very easy to use. You can use it to convert individual files or convert multiple files in bulk. It also has the feature of merging all the files into one for easy transportation. You can either choose from the wide range of formats it supports while you are converting a file or you can pick a device when you're not sure what format it supports. It is a feature freeware that comes packed with lots of advanced functionality. It makes audio conversion a walk on the beach for the user. The software has an intuitive interface and offers many options to simplify the conversion process. You have the drag and drop option to make it easy to import your files for converting.